Kirk R. Sheldon started in the financial services industry in 1977 and gained “real world” experience with various firms. He earned the coveted Certified Financial Planner (CFP®) designation in June of 1984. This designation represents a high level of competency, ethics and professionalism. Certified Financial Planners are held to a fiduciary standard of care and are required by law to put your best interests first. In 1987 CAPITAL FINANCIAL MANAGEMENT (CFM) opened its doors for business. Subsequently, the firm was formally registered as a Registered Investment Advisor and financial planning firm. Kirk's vision was to provide clients with honest, straightforward, unbiased, understandable and personal advice regarding financial planning and investment advisory services. Through hard work and by earning the trust and confidence of many loyal clients, the business has grown to become an important resource to both our established clients and our newer members of the firm. We pride ourselves in providing the small business “personal touch,” while being fully capable of delivering the full spectrum of services of a large, national firm. We spend quality one-on-one time with our clients and encourage face-to-face communication. We b elieve that Teamwork Matters – It is important to align yourself with people you can trust, depend on and work well with in order to accomplish your goals. It matters to us to help you build a team that can provide the services needed to meet your needs. 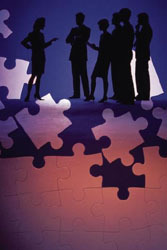 We often work and collaborate with other professionals including CPAs, attorneys and tax preparers. We believe that Service Matters - There are basically five types of personal financial advisory services offered. Regardless of the type of service you choose, our personalized attention is a critical part of each professional service we offer. Service to you starts with a live person answering your first telephone call to you own financial advisor customizing financial solutions for you. We believe that Family Matters - We work closely with entire families – grandparents (and even great-grandparents), parents, children and grandchildren – to build financial portfolios to pass along from one generation to the next. Whatever your stage of life, we can help you determine and meet your goals and objectives. We believe that having Fun Matters - Yes, financial planning includes calculations, analysis and planning for years ahead. But, it is also about determining how to use this data to plan for life's important, yet often overlooked, pleasures. Whether it's taking vacations, buying that new car you've been eyeing, or making home improvements, these can all be possible with solid financial planning concepts. Most of all, we believe that YOU MATTER! Whether you are a novice at financial planning or are more seasoned at financial planning, we can help you meet your objectives. We believe in looking at your entire financial picture – savings, investment and real estate assets, your children's and grandchildren's educational needs, insurance requirements (including long-term care), retirement plans, career goals and how you are positioned in your stage of life. We listen carefully to your hopes and dreams, your concerns and issues and then, depending on the services you select, we may create a custom plan according to your wishes. "Successful Financial Planning Builds Happier Tomorrows"